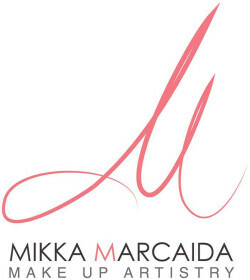 The most efficient way for a new inquiry to reach us is by sending an e-mail at mikkamarcaida@gmail.com or using our contact us page. We are quick to respond to enquiries and questions. Make sure to always include the important information we need to check for the availability. Travel expenses will be covered by the client hence, all the required expenditures including return flights, toll fees, travel taxes and accommodations shall be pre-paid. Please do email to secure our availability. Deposit of at least 20% is required and is deducted from the final amount due. Enquiries for which a deposit has not been paid are not confirmed and therefore our availability cannot be guaranteed. A makeup contract will be sent back to you once we have agreed on the date and time. This shall be returned to us after completed. For deposits: payments can be made by bank transfer or cash. Bookings are only secured once payments have cleared. For bridal work, remaining balance shall be paid in cash on the day. For wedding bookings, security deposit is nonrefundable. If you need to cancel 30 days prior to your event day, 50% of the total event rate quote will be charged. If you cancel within 2 weeks or less of the event day you will then be charged 100% of the total event rate quoted. Makeup and hair trials are not just for the purpose of working out the perfect look but also to ensure there are no skin reactions or sensitivities to the products used. It is, however, the client’s responsibility to inform us should any reaction occur after the trial so that we avoid the use of the product(s) that caused it. We will always endeavor to stay with you until you are satisfied with your look. Time disappears quickly on the day of the wedding, therefore, we highly recommend scheduling makeup prep 6 hours from the time of the ceremony. For non bridal work, allow 1 hour and 30 minutes maximum to finish an entire look. We believe in going all out when it comes to the overall look of the bride. YES, lash application and contact lens (without grade) are already included in the price for our makeup services, however, there is no reduction in price for any makeup service. I am currently affiliated with NARS, most of my kit essentials are from the said brand. Aside from that I use various products from Tom Ford, Chanel, Tarte, Kat Von D, Inglot, Charlotte Tilbury, Benefit, Anastasia Beverly Hills and a whole lot more. For my airbrush kit, I only use Temptu.